Im a little puzzled by something that just happened ingame. I came up against a Neptune who was sneaking round the back of me. I was in my Seattle. He had approx 15k HP left. I switched to AP. Got 24 hits on him for what the game tells me was a total of 23,328. I also got 6 Citadels on him. 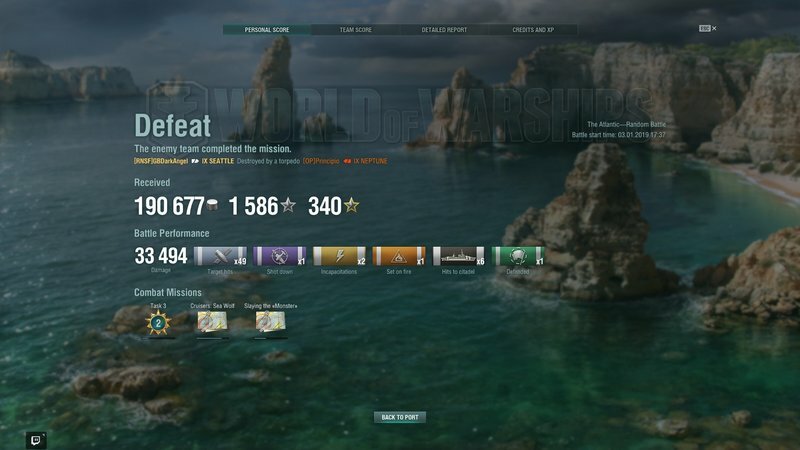 Now he killed me with his torps but I was a little shocked to see he still had 14,300 HP left after my hits. Can someone who is familiar with the game mechanics explain that to me please? He used his heal? 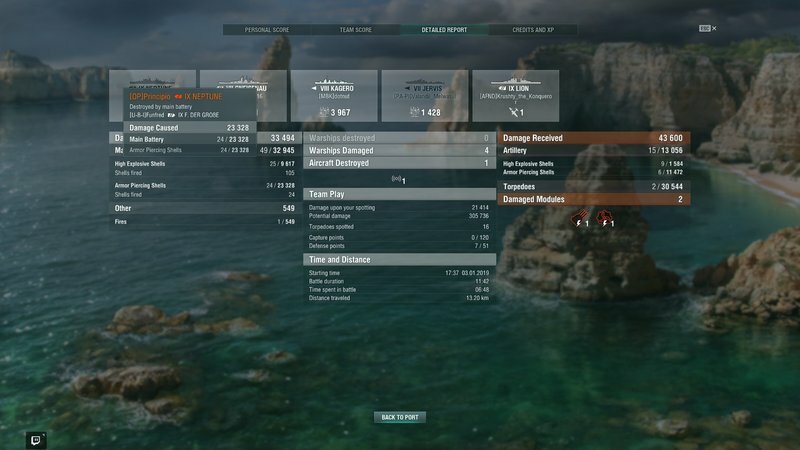 The Neptune can repair 50% of the damage from citadel hits. While you were aimed in on him and shooting he probably started healing and you didnt notice it. his heal as mentioned above heals 50% of citadel damage. You can also carry a flag (India Delta) gained from a Dreadnought award that adds 20% to the maximum health you can reclaim... I think it applies to Cruisers too? ?